13 Questions is a weekly series where we ask chefs 13 questions to get to know them outside of the kitchen. 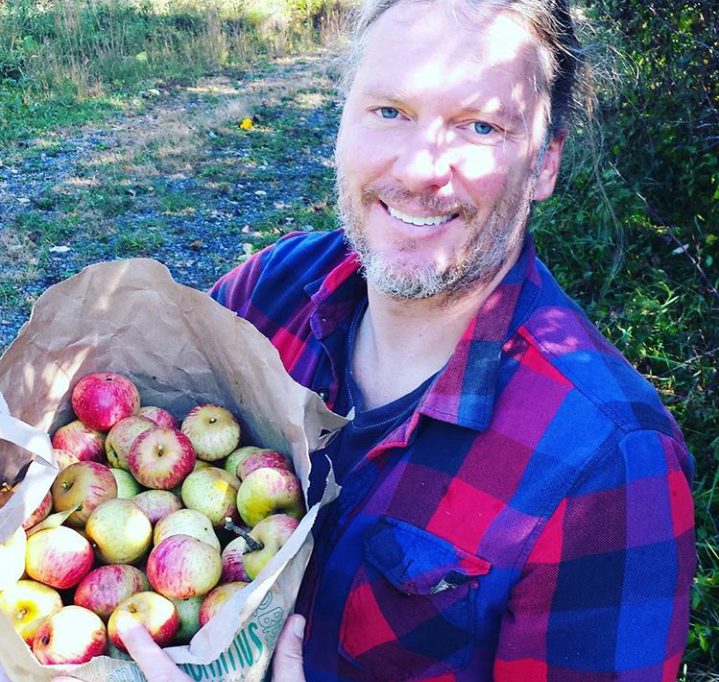 Hudson Rouse, formerly of Home Grown GA, is the chef and co-owner of Rising Son. Every Friday night we’d go over to my grandparents. They’d always making the same thing: a traditional salad with homegrown tomatoes, lettuce, cucumber, and onion; steak; a baked potato; mac and cheese; and broccoli. I remember my granddad lecturing my brother and I on how to cook a steak. I have a twin brother who always knew he wanted to be a chef. My dad had a culinary degree. My grandfather and uncle were chefs. I remember watching The French Chef as a child. Julia Child was big part of our childhood, and I guess I picked it up by osmosis. How did you jump from insurance sales to food? Publix fried chicken. I eat the thighs, my wife eats the breast, and my son eat the legs. The wings never make it back because I eat those on way home. What’s one classic Southern dish you can’t stand? I just can’t stand to see [Southern dishes] fancied up too much. I don’t think there’s a place for expensive fried chicken. It should be something you enjoy anywhere, anytime. You shouldn’t be spending $30 to eat a whole bird. How did you meet your wife, Kathryn [Fitzgerald Rouse, known for her craft sodas]? We ran in parallel universes in the city for a long time. One of us followed the other on Instagram. I posted a picture on Instagram of this sage bush that was flowering, and it had these beautiful purple flowers. I was giving them away and asked if anyone wanted any, and she said yes. When she came to get them, I was kind of knocked off my feet. We found out we had so many mutual friends and similar backgrounds. I would invite her on a date to go pick honeysuckle flowers. We got married and opened a restaurant within a year of meeting each other. In the spring, early summer, and fall, I’m planting vegetables in my front yard and backyard in East Atlanta Village and at my father-in-law’s large plot of land Stone Mountain. The Cleveland Show with my 10-year-old son, Branch, every night. It’s the most absurd thing I’ve ever seen. I hope the jokes are going over his head. Depending on the occasion, I enjoy all of them. But when I come home, Kathryn makes me a nice cocktail. We’re really big into gin martinis right now. I would have a nice farm somewhere near the water. It would be in the vicinity of nice restaurants, so I could still enjoy my other passion, eating a lot. I’m terrible at dessert and pastries. It’s the preciseness and measuring. I just like to cook and see what I’m gonna get in the end. What’s one brunch trend you’re over? Anything over a six-top. It’s a meal, not a party. You named a meal after Angus Brown. If a meal were named after you, what would it be? A nice juicy burger with fries and any hoppy IPA.